Win Free Spins to unlock the sunken treasure of Red Tiger Gaming's Pirates' Plenty Slot game! Pirates' Plenty The Sunken Treasure is a 3 row, 20 payline and 5-6 reel Video Slot powered by Red Tiger Gaming. Players often wonder that how can a 5 reel Slots machine lead to a 6 in a line win? Well, on landing Map Symbols, you can successfully activate the sixth reel, namely Treasure Reel; and this reel remains open for all future spins at the same stake amount, boosting the payouts of your winnings combinations. With features like Wild Ships, Ocean Spins, Wild Monkeys and other Wild Symbols, a feature-rich adventure awaits you wherein on helping the pirate captain to discover the sunken treasure, you can take home massive wins of up to 5,000 times your stake. But, before risking your real money, we'd highly recommend you to try this Slots machine in the free play/demo mode at any of the below listed Red Tiger Gaming Online Casinos. 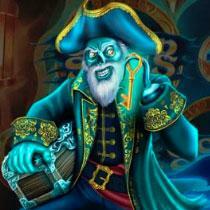 How to Play Pirates' Plenty The Sunken Treasure Slot Game? Stake: The 'Stake' box appearing on the left-bottom corner of the screen displays the total stake per payline. Use '+' or/and '-' to adjust the stake amount. Autoplay: This option is designed for the players who intend to enjoy an interruption-free game play without any hassle of starting and stopping the turning of reels time and again. Click on 'Auto' button and select the number of times you would want to spin the reels automatically by clicking on the 'Total Spins' drop-down menu. You can choose any of the following – 10 spins, 20 spins, 30 spins, 50 spins and 100 spins. More Autoplay Settings: This allows you to set the loss limit so that the Autoplay stops at the last spin before reaching the loss limit. But before setting the loss limit, do remember that it should be higher than your total stake amount. You can also select additional criteria for the Autoplay feature by choosing 'MORE AUTOPLAY SETTINGS' and expanding the Autoplay dialog. With this additional settings, you can choose to stop when single win exceeds certain amount; stop on a Jackpot Win; stop on Bonus Feature. Spin the Reels: Two adjoining semi-circular arrows which form a circular button in the bottom-right corner of the screen is the Spin button. Click this button to turn and stop the reels manually. To pace up the spinning of the reels, click on 'Turbo' button, appearing adjacent to the 'Spin' button. Hamburger Button: By clicking on the Hamburger Button, appearing on the top-right corner of the screen, you get an access to the payouts of different symbols along with their significance in the game-play. Pirates' Plenty The Sunken Treasure is a 3 row, 20 payline and 5-6 reel Video Slot. The sixth reels, which is named as Treasure Reel, is activated only on triggering Map Symbols; and once this reel is activated, it remains open for all the future spins at the same betting amount. Wild Ships appear on the reels only when Treasure Reel is unlocked. 10 Free Spins can be won only by triggering 3 Ocean Spins Symbols on the reels. Wild Symbols appear only during the Free Spins round once treasure chests have been unlocked. Payline awards the winning combinations from the leftmost reel to the rightmost reel. Only the highest win per payline is paid. Malfunction or technical errors void all pays and plays. Pirates' Plenty Slot is set inside a sunken ship wherein one oil lamp is lit sparsely on each side to light up the room. The room is occupied with treasure-filled chests and on successfully helping the smirking pirate captain discover these chests, you can take home some huge wins. Symbols like pirate's skull, bottle of grog, cannons, muskets and golden coins perfectly bring out the theme of this Slot machine. Additionally, the background music goes well with the pirate theme. By and large, maintaining the goodwill of crafting good-looking and bonus-rich games, Red Tiger Gaming has launched another entertaining online slot. Standard Reel Symbols: Pirates' Plenty The Sunken Treasure Slot exhibits 9 standard reel symbols. Out of which, 5 are high paying and the remaining 4 are low paying. Pirate's Skull, Captain's Hat, Cannon, Muskets and Bottle of Grog are the high-variable symbols whereas card suites like spade, heart, diamond or club inscribed within a golden coin denotes the low-variable standard reel symbols. Map Symbols: In order to activate the Treasure Reel, you need to collect Map Symbols. Wild Ships Symbol: Wild Ships are packed inside tall bottles which cover an entire reel to turn into Wild. These symbols may appear with or without win multipliers; and substitute for all other paying symbols. Wild Monkey Symbol: The Wild Monkey Symbol substitutes for all other paying symbols. This symbol can appear on any spin with an exception of Ocean Spins; and once triggered, it steals away all the low-value symbols for a re-spin where high-value symbols are only landed on the reels. Wild Symbols: Apart from Wild Ships and Wild Monkeys, you can also expect other Wild Symbols triggering on the reels, provided you have unlocked the treasure chests. These Wild Symbols are denoted by Card Suites and Wild inscribed in a golden coin and appear only during Ocean Spins. Triggering 6 of these symbols on a payline will give you 1000x payout whereas 5 symbols on the winline will award you with 400x payout. Map Symbols & The Treasure Reel: Treasure Reel is the sixth reel of Pirates' Plenty Slot machine, which is activated only on triggering Map Symbols. Once the Treasure Reel is unlocked, it remains open for all future spins at the same betting amount. Wild Ships: The ship inside a bottle denotes the Wild Ship Symbol. These appear on the reels only when Treasure Reel is unlocked; and on triggering, these symbols cover an entire reel and turn them wild. Wild Ships Symbols may appear with or without win multipliers. On landing Wild Ships with multipliers, you can boost the payout by 2 times, 3 times or 5 times. Wild Monkey: Wild Monkeys are the thieving monkeys which can appear randomly during the base game to steal away low-value golden coins. Don't be dishearten to see Wild Monkeys on the reels because these steel aways golden coins from the reels only to trigger a Re-Spin with high-value symbols. Ocean Spins: On triggering 3 Ocean Spins Scatter Symbol, 10 Free Spins are awarded to you. During the Ocean Spins round, look for Ghostly Ship's Captain Symbol as landing of this symbol will award you with a key to unlock the sunken treasure chest. Once all the three treasure chests are unlocked, you will receive extra Free Spins and in addition, one of the low-value symbols will convert into a Wild Symbol. Pirates' Plenty The Sunken Treasure Slot is designed and developed by Red Tiger Gaming, the budding software provider of the industry. Established in the year 2014, this software developer has carved a niche for itself as a producer of Slots games with intriguing graphics, stunning animations and bonus-rich features. Over a short span of time, Red Tiger Gaming has given some really entertaining Slots games, exhibiting hi-end 2D and 3D graphics to boggle your mind. It is indeed not a bad idea to set on this seafaring adventure for massive wins of up to 5,000 times your stake. Anyone out there who is looking for a Pirate-themed Slots, it is a must-try on the list because of the sounds and visuals which are nothing short of perfect. So amigo, get your pirate gear on and set on this adventure to bring home some looted treasures. Happy playing! Please enter your review for the Pirates' Plenty The Sunken Treasure Slot.